If you want to improve your website’s search rankings, focus on creating unique, relevant and original website content that provides value to your audience. By creating content that is relevant to your audience and helps answer their questions and solve their problems, you will be creating content that is rich in searchable keywords. By continuing to do so, your website will continue to move up in the search engine rankings. Unfortunately, creating content that is unique, relevant and original is hard. SEO marketers and webmasters attempt to cheat their way to improving their website’s search engine rankings by copying and pasting content from other websites. 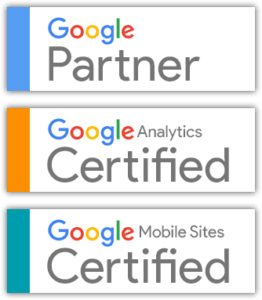 In some cases, webmasters simply do not realise that by copying and pasting content from other websites and publishing it as their own, they are breaking Google’s quality guidelines. Google has stated that they will remove websites from search results that contain pages with content copied from other websites. If your website has been removed from search results, and you think it was due to having duplicate content, follow the steps above to fix this problem. Then, once you have removed all duplicate content and/or replaced them with original content, you can submit your site to Google for reconsideration here. Interested in rocketing your websites SEO? See how we can launch your websites SEO performance into the stratosphere and grow your website online. James is a Co-Founder at Web3, a search engine marketing & custom WordPress design agency that increases your company's profits and ROI. If you thought this article was good, check out my other articles here. Discover how to get your website loading in under 3 seconds! 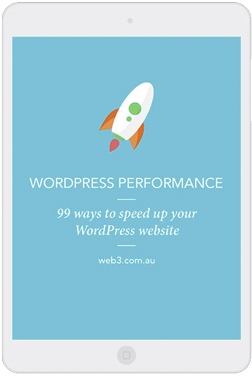 Download Web3’s ’99 Ways To Speed Up Your WordPress Website’ ebook now for free. Brisbane CBD 4000 QLD Australia. Sydney CBD 2000 NSW Australia. Complete the field below to receive your free copy!